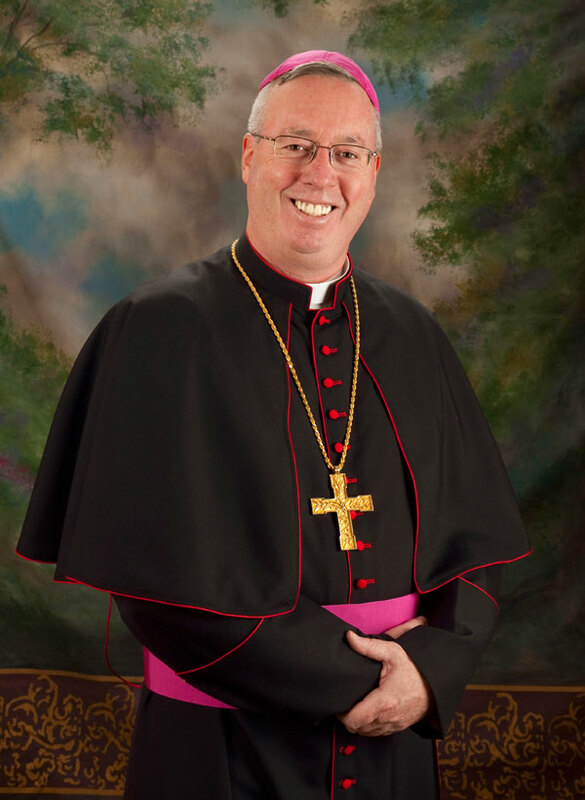 As of Thursday, January 29, 2015, Bishop Christopher J. Coyne is no longer the auxiliary bishop of the archdiocese. He is now the Bishop of Burlington, VT.
Archived information about the bishop's service to the archdiocese will remain for some time on this page. Originally a priest for the Archdiocese of Boston, Bishop Coyne was named auxiliary bishop of the Archdiocese of Indianapolis by Pope Benedict XVI on January 14, 2011. He was ordained a bishop on March 2 at St. John the Evangelist Church in Indianapolis. Archbishop Daniel M. Buechlein ordained the new bishop. Bishop Paul D. Etienne of Cheyenne, Wyo., and Bishop Richard G. Lennon of Cleveland were the co-ordaining bishops. On September 21, 2011, Pope Benedict XVI accepted the early retirement of Archbishop Buechlein and named Bishop Coyne the Apostolic Administrator of the archdiocese. (What is an Apostolic Administrator?) He served in that role until December 3, 2012, when Archbishop Joseph W. Tobin was installed as the sixth archbishop of Indianapolis. On January 29, 2015 he was installed as the Bishop of Burlington, VT, ending his service here.